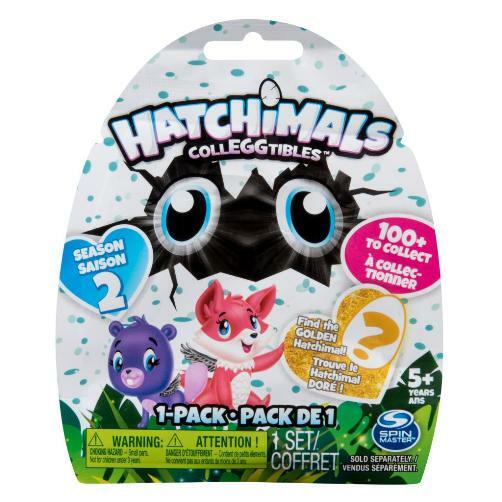 Hatch and discover adorable new faces from magical new places with the Hatchimals Colleggtibles 1-Pack! Your Hatchimal is nestled inside a speckled egg, just waiting to meet you! To help your new friend hatch, hold the egg in the palm of your hand and rub the shell until the purple heart turns pink! Press down until the shell cracks and you discover your Hatchimal. With over 100 Hatchimals, there are so many adorable creatures to collect! Will you find the Golden Hatchimal? Happy Hatching!